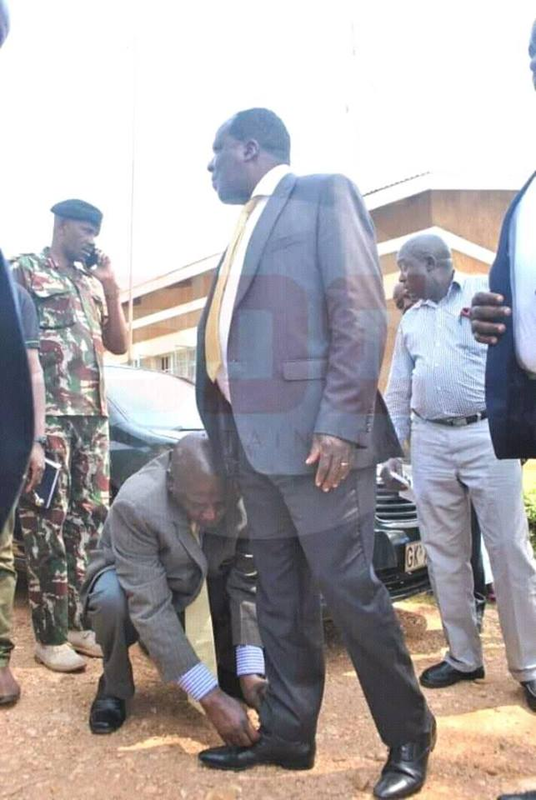 Home / Editor's Choice, Entertainment News, Forum and discussion, Gossip and Drama, News, Other Political News, Politics / These GOVERNORS are drunk with power, OPARANYA cannot tie his own shoes laces, someone has to do it for him (PHOTO). These GOVERNORS are drunk with power, OPARANYA cannot tie his own shoes laces, someone has to do it for him (PHOTO). Thursday, November 8, 2018-Most of Kenyan Governors are drunk with power. They behave like gods and urinate on their juniors. In this photo, Kakamega Governor, Wycliffe Oparanya, is seen being attended to by one of his juniors. He cannot bend down to tie his shoe laces. Someone has to do it for him.